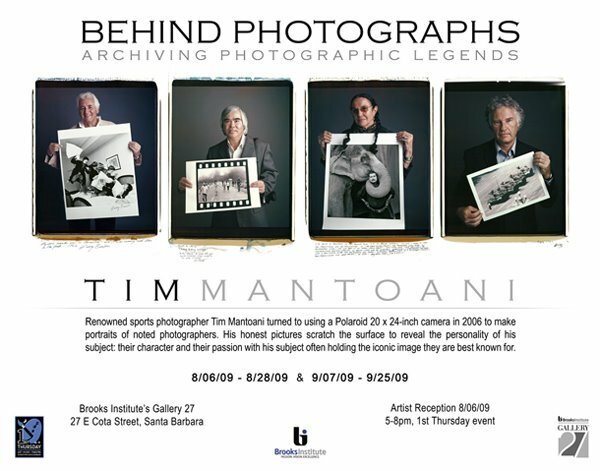 I've been in Santa Barbara the past few days hanging prints for a show at Brooks Institute's Gallery 27. This is a partial show of my Behind Photographs Project. There are 40+ 20x24 Polaroids in the show and 40+ 11x14 prints. It is great to be back in Santa Barbara and very fulfilling to have this show at Brooks. Hard to believe it has been 18 years since I graduated! The opening is tomorrow night 8/6/09 from 5-8, please drop in if you are in town.